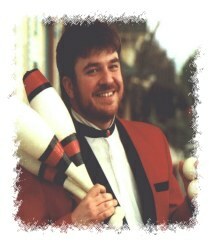 Fun, family entertainment that features stand-up comedy and skillful juggling! 16 years of professional experience! 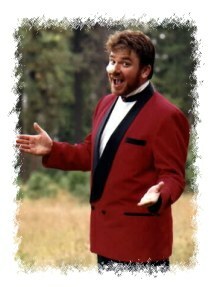 Seasoned Stand-up comic, writer, character actor & juggler! Perfect for the stage or as a strolling attraction! Featured performer at hundreds of Corporate Events, Fairs, Festivals, Schools, Theme Parks & Variety Shows! 1988 Graduate of the Ringling Bros. and Barnum & Bailey Clown College! Performed for President George Bush...the original NOT the sequel! The 2 most commonly booked performances are the strolling act and the stage show. Stage acts can range in length from 5 to 45 minutes an are appropriate for trade shows, cruise ships, festivals, schools and more. Strolling acts vary in length and there is usually a two-hour minimum for booking. Want to see Andy in Action? Watch the video clips! All routines feature Andy's comedy patter and some audience participation. Acts may also be set to music a-la circus-style if so desired.